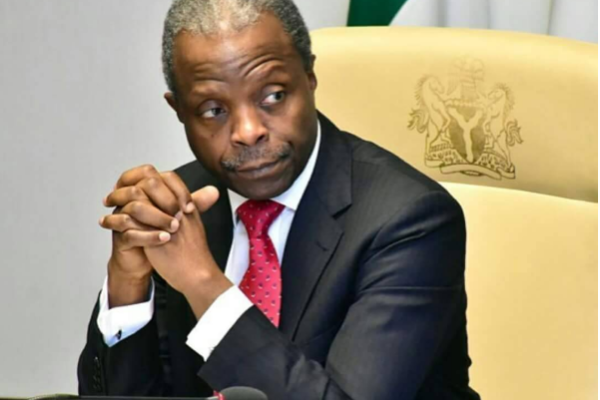 Acting President, Yemi Osinbajo on Tuesday charged State governors on the platform of the All Progressive Congress, APC, to think out of box in order to meet up with the social welfare of their people. He said this during the Federal Government-Progressive Governors Forum in Birnin-Kebbi, the Kebbi State capital. Osinbajo noted that the present ruling party promised better life for Nigerians and they must deliver it. The Acting President, who reminded the governors of their campaign promises, said two-third of Nigerian population were poor and needed social welfare scheme to be implemented to better their lives. According to Osinbajo, “That is why in the budget, we have N500 billion for social welfare. If states think out of the box, like Lagos, Kebbi, Jigawa and other states who used their initiative, we can improve their lives”. Speaking on insecurity, he said there was no doubt that Boko Haram insurgents had been decimated. He said, “The tasks before us is how to ensure their attacks is totally stopped. The task before us is how to ensure IDPs returned to their homes in Bama and live their normal life”.